Explosions and bullets blaze around the silhouette of a lone female wearing a beauty pageant dress and holding an assault rifle. Bodies flee the mayhem, bodies fall to the ground, but a changed woman marches forward with survival and the promise of freedom motivating her every step. It’s a wonderful sight to see. “Miss Bala”, a remake of the 2011 film that was also Mexico’s submission for the Academy Award’s Best Foreign Language Film category, is offered a frenzied Americanized update starring Gina Rodriguez. The film, directed by the talented Catherine Hardwicke, doesn’t stray too far from the original premise but adds a great performance from the cool and clever Gina Rodriguez and supporting tough guy gangster Ismael Cruz Cordova. Gloria (Gina Rodriguez) is a makeup artist working in Los Angeles. Her childhood friend Suzu (Cristina Rodlo) lives in Tijuana and is planning on competing in the Miss Baja beauty pageant. Gloria is coming to support her friend and help with her makeup. Before the pageant, Gloria and Suzu head out for a night on the town when a group of armed drug cartel members comes to assassinate a political figure at the club they are at. During the chaos the two friends are separated, Gloria tries to find her friend but comes face to face with Lino (Ismael Cruz Cordova), the leader of the drug organization. The narrative in “Miss Bala” pushes an aspect of empowerment throughout, Gina Rodriguez does a nice job of displaying the transition of Gloria’s trauma and helplessness to ultimate resolve and revenge. Still, there is something missing, or lost, in the composition of this updated version of the film. 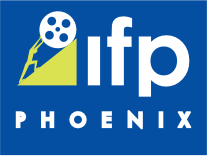 The analysis of the socioeconomic environment in Mexico, the honest citizens forced into fear-induced captivity, and the corruption that makes trust an unreliable commodity are only touched upon in this version; the focus is clearly aimed at the inevitable action sequences and the empowerment of one intelligent woman’s demand to survive. The empowerment angle is actually very well-conceived throughout the film. Gina Rodriguez accomplishes the transformation into a confident and shrewd hero nicely. However, she is also assisted by an interesting performance from Ismael Cruz Cordova who composes the villain Lino with a subtle hint of chivalrous merit that is ultimately smeared by a life lived by using fear as a weapon. 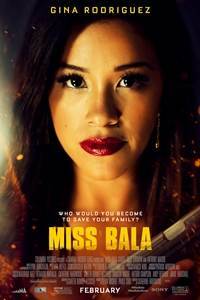 When the dynamic between the two is utilized effectively, “Miss Bala” shines as a character piece driven by the natural cat-and-mouse dynamic of motivations between the abductor and the abducted. In one of the better scenes Lino takes Gloria to a small village he grew up in, they share a meal and Lino talks about his past while Gloria figures out her exit plan. Director Catherine Hardwicke is a very capable director hampered here by a script that is looking for mass appeal in the action-thriller genre. The performances will keep your attention and the occasional action scene will fulfill the need to watch a likable character find her comeuppance, however, these moments are fleeting in a film that just doesn’t commit to being more than a familiar tale we’ve seen many times already. Still, the image of a brave woman owning her femininity and staring down danger is a welcome sight on the silver screen.